What is there to do in Melksham? Great Western Coffee Shop > Sideshoots - associated subjects > The West - but NOT the West's trains > What is there to do in Melksham? Re: What is there to do in Melksham? Looks like this Sunday, there will be no trains through Melksham, looks like buses according to GWR timetable. Looks like Westbury is shut down again. Wasn't the 12 days of Christmas long enough to do the works, or are there things to finish? 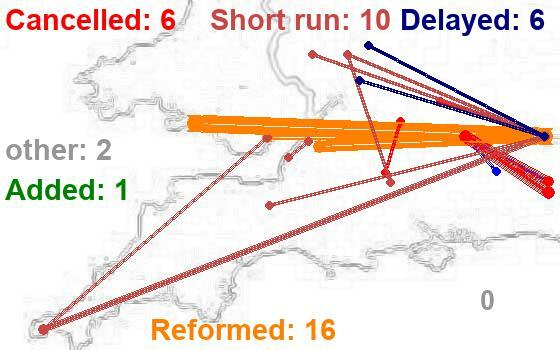 Rail Industry source from last November suggested only one more weaken stoppage in the first half of this year between Salisbury and Bath Spa, and that to be in the Spring. Confused story for next few weeks. GWR Engineering poster have REVISED flashes across the corners and talk of trains changed, not running, turning at Chippenham ... but GWR ticket engine offering tickets for the trains that the engineering posters say are revised .... I am not helped by being very tired at the end of the day, and the engineering posters having the dates at the top then you have to scroll down to see each day - denoted by the day of the week only and not with the day number in the month. I think it's designed as an intelligence test, and I have used up my daily quota! The GWR website, planned engineering section, suggests that the Melksham service most Sundays will be altered; some slightly others Sundays have complete bus replacement. In answer to my own question "what is there to do in Melksham" - rather "what is there to see?" What is there to do in Melksham? Well you could always pop round to grahams and have a cup of tea, and perhaps a couple of wagon wheels. The fun to be had with FHW's name above the shop. Take the Y off HARDY and put it in place of the second I in WILLIS. Some scamp in Taunton did just that in the early 1990s. No, it wasn't me. I was holding the ladder. Apologies for quoting myself, and sorry to grahame that it's not about Melksham, but rereading this post reminded me of some local Taunton news this week. The town's longest trading store, The County Stores, is closing down this Saturday, 19th January 2019, after 183 years serving the people of Taunton. I have two abiding memories of this store. The smell of the coffee they roasted on the premises, which vented out the front of the shop above the window. Apparently, olfactory memories are the most persistent. It was a lovely heady aroma. I now associate the smell of freshly roasted coffee with Saturday childhood visits to town with Grandma. The County Stores stopped roasting their own coffee when the council insisted they install a flue to roof height. I was only thinking about them last week. In the 60s my father worked in Chard and we had a weekly grocery order phoned by my mother to the Chard branch of County Stores and delivered to my father who brought it home. Unsurprisingly, living in Bristol, I only got 5 correct... and that was with some lucky guesses. I am very much ... Melkshamcentric at times. 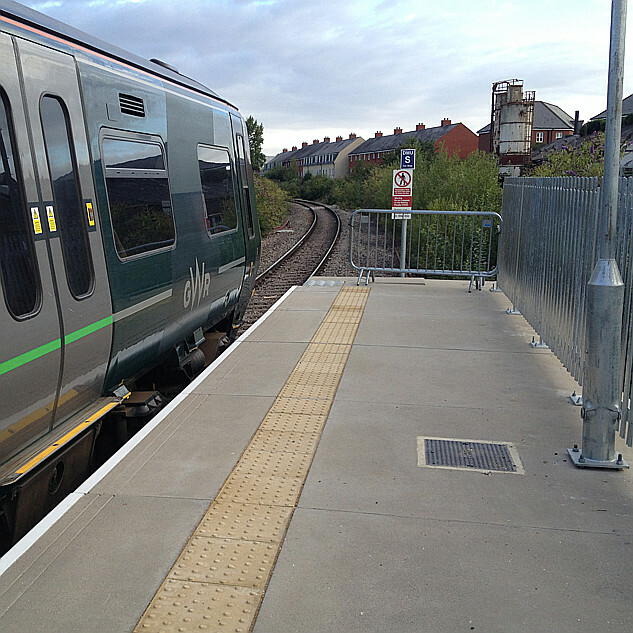 It remains a 'special case' in terms of the need for general rail use promotion - horrendously under-utilised for the size of the town and a real need to promote general use. That's I believe, how community rail was 20 years ago for so many places and has done so well. I think this will be public visible even if you don't have a Facebook account. It's The story of Melksham Spa (click on "See More" to read the full article after the "on this day" list). "Melksham Spa" - to join "Bath Spa", "Leamington Spa", "Droitwich Spa" and "Cheltenham Spa"? These days, the properties are lovely homes (we lived there for 18 years) - see Rightmove for a modern outside shot and loads of internals.